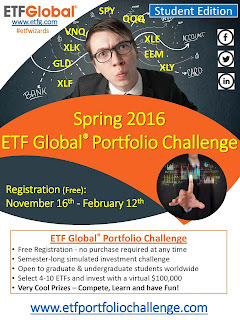 Enrollment for the Spring 2016 ETF Global Portfolio Challenge closes on Friday, February 12th ! Several new features have been implemented to the challenge - weekly re-balance opportunities, transaction costs and a streamlined registration process are just a few of the additions that will serve to strengthen the user experience. 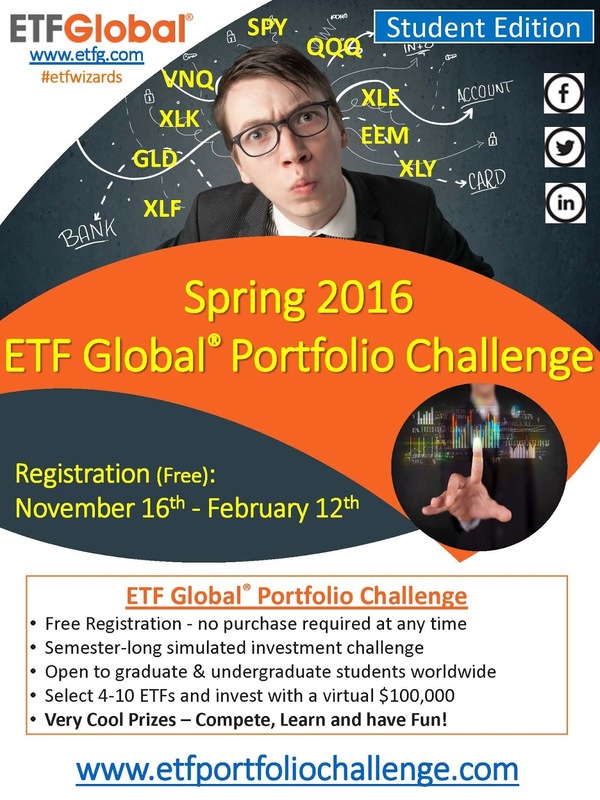 The Spring 2016 ETF Global Portfolio Challenge has already drawn thousands of students from all over the world and a wide range of academic institutions. In what was a deeply competitive Fall Challenge, the competitive landscape is poised to intensify for the Spring 2016 contest as students from across the globe participate!